On vacation with his girlfriend, Ingeborg, the German war games champion Udo Berger returns to a small town on the Costa Brava where he spent the summers of his childhood. Soon they meet another vacationing German couple, Charly and Hanna, who introduce them to a band of locals—the Wolf, the Lamb, and El Quemado—and to the darker side of life in a resort town. Late one night, Charly disappears without a trace, and Udo’s well-ordered life is thrown into upheaval; while Ingeborg and Hanna return to their lives in Germany, he refuses to leave the hotel. Soon he and El Quemado are enmeshed in a round of Third Reich, Udo’s favorite World War II strategy game, and Udo discovers that the game’s consequences may be all too real. 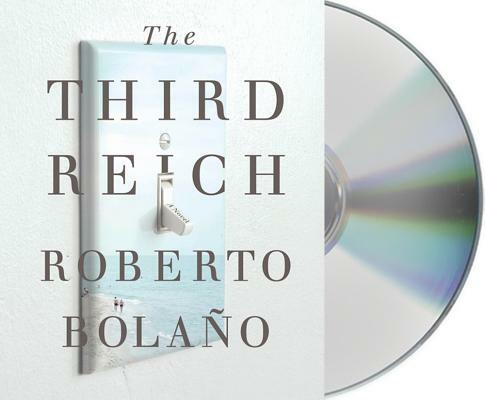 Written in 1989 and found among Roberto Bolaño’s papers after his death, The Third Reich is a stunning exploration of memory and violence. Reading this quick, visceral novel, we see a world-class writer coming into his own—and exploring for the first time the themes that would define his masterpieces The Savage Detectives and 2666. Roberto Bolano was born in Santiago, Chile, in 1953. He grew up in Chile and Mexico City, where he was a founder of the Infrarealist poetry movement. He is the author of "The Savage Detectives," which received the Herralde Prize and the Romulo Gallegos Prize, and "2666," which won the National Book Critics Circle Award. Bolano died in Blanes, Spain, at the age of fifty. Natasha Wimmer has translated many works of fiction and nonfiction by Spanish language authors, including Mario Vargas Llosa, Laura Restrepo, and Rodrigo Fresan, as well as Roberto Bolano.